MARQUETTE — This Memorial Day one Marquette business owner decided to stay open today to give some families a chance to make some art during the holiday. Hotplate is staying open throughout the holiday and they are hosting an event just for families. 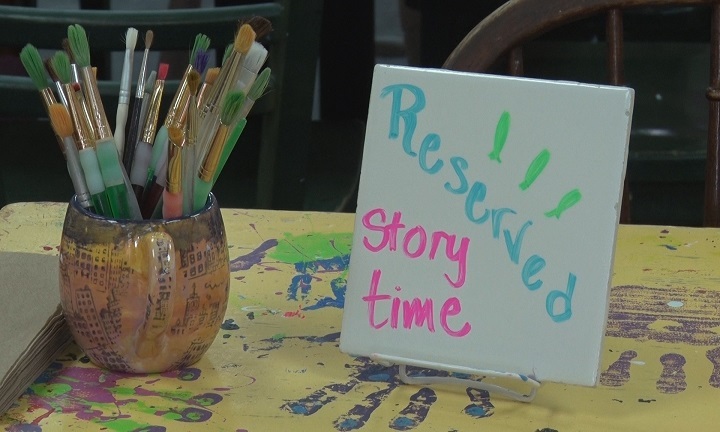 The event is called ‘Story Time for Little Ones,’ and children got to enjoy a story which was then followed by an art project which may have included painting a piece of pottery, a canvas or some clay pieces. Due to many stores and facilities being closed during the holiday, the owner of Hotplate wanted to give people something to do in Marquette during Memorial Day. Even though Memorial Day is about remembering those who gave their lives protecting the nation, Hotplate also has a 10% discount on all services and items for all who have served in the Armed Forces. The event ends at 7 pm tonight. Pipeline plans across Western U.P.